Red Bull arbeitete seit 7 Jahren an einer neuen real world challange und gestern (14.10.12) war es so weit. 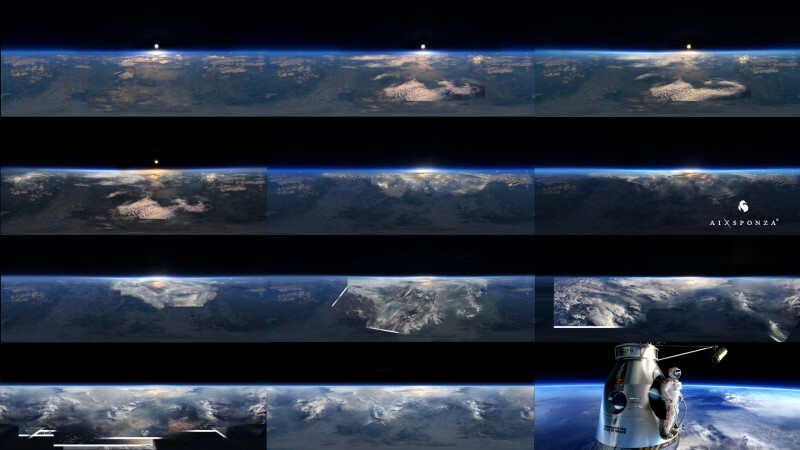 Felix Baumgartner did a “stratospheric freefall which expand the boundaries of human flight.” Das Design und Animation Studio Aixsponza aus München war verantwortlich für eine Previsualisierung der Mission. In 2008 our cooperation with the Munich based film production company Peter Clausen Film started when the director Peter Clausen approached us with the idea of visualizing the F1 race track in Singapore for his client “Red Bull” in full CG. Our feature about this, at this time brand new, race circuit was sympathetically recieved by the audience and the client and so we did other features for “Red Bull” during the following years: a film about “XFighters” motocross and a feature about “Red Bull Air Race”, to name a few. 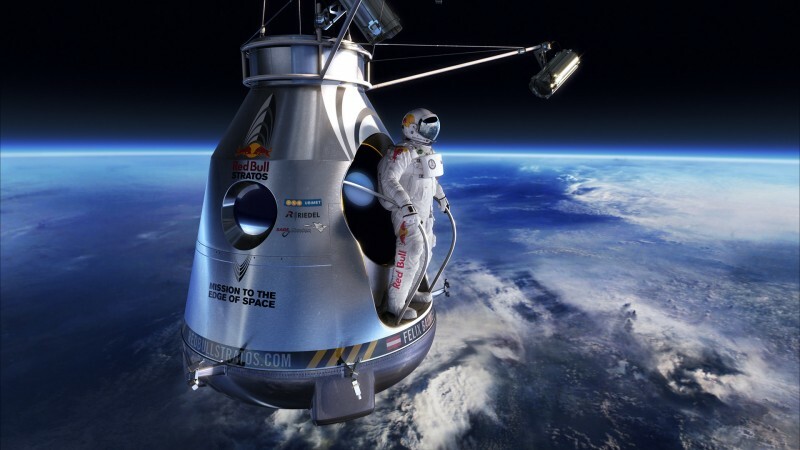 As a consequence, when “Red Bull” approached Peter Clausen with the idea of visualizing their “Stratos Project” beforehand in CG, he again asked us to realize the movie. The difficulty at this time was the project being in its early development stage at “Red Bull”. That’s why a lot of details were yet to be determined when we got the first brief. Nevertheless we were required to stick to the facts. This led to a very close cooperation with Peter Clausen Film and Red Bull to get the facts right before the work on the movie started. And during production a lot of details changed continuously. 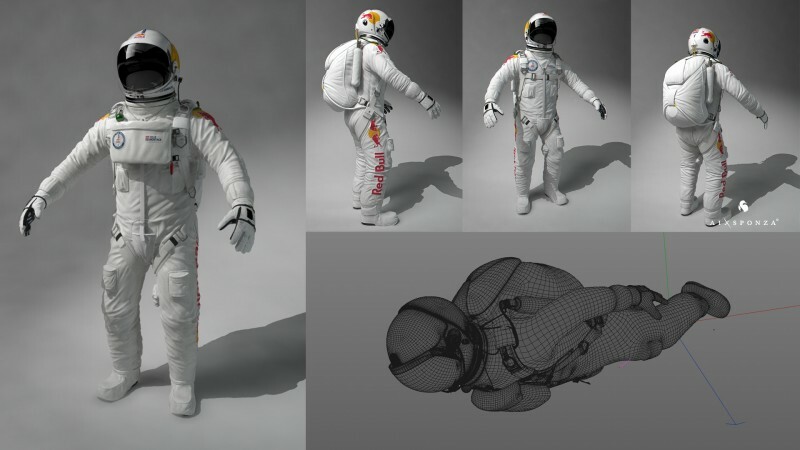 It is the previz of a real world challenge where the Red Bull Stratos team brings together the world’s leading minds in aerospace medicine, engineering, pressure suit development, capsule creation and balloon fabrication. 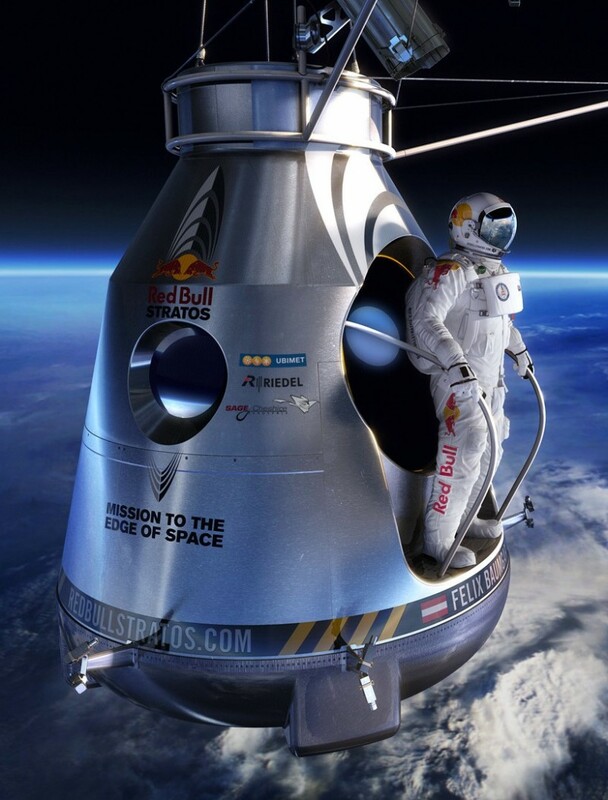 The main creative challange with the Red Bull Stratos project was to explain a highly technical and complicated project to a broad audience in an entertaining way. We had to create an exiting and visually appealing movie while communicating all the technical facts correctly. This started with all the little details of Felix’ space suit and the capsule but extended to things like the correct speed and distance travelled while jumping back to earth. 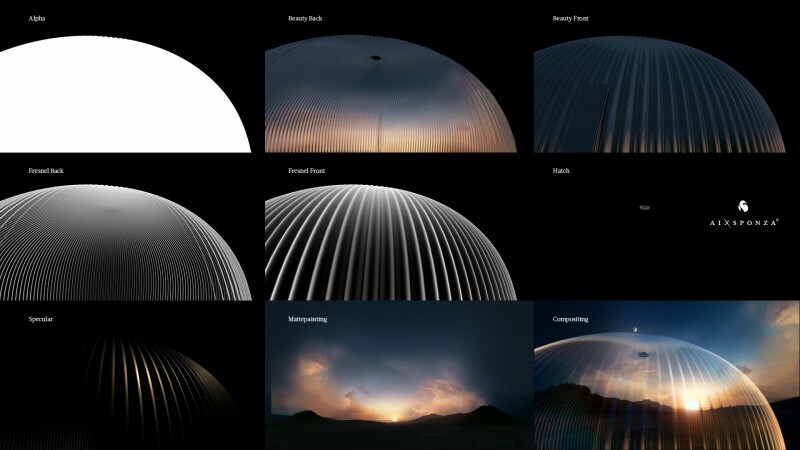 The supersonic boom is another good example, where we created an interesting and beautyful particle effect while trying to resemble the real world phenomenon as closely as possible. While designing the project we learned a lot about voyages to outer space.